Commuting by bike, I see graffiti (tags) on utility and light poles, utility boxes, signs, curbs, everywhere. The tags are a visual blight in the city, a cancer, a disease to be treated. 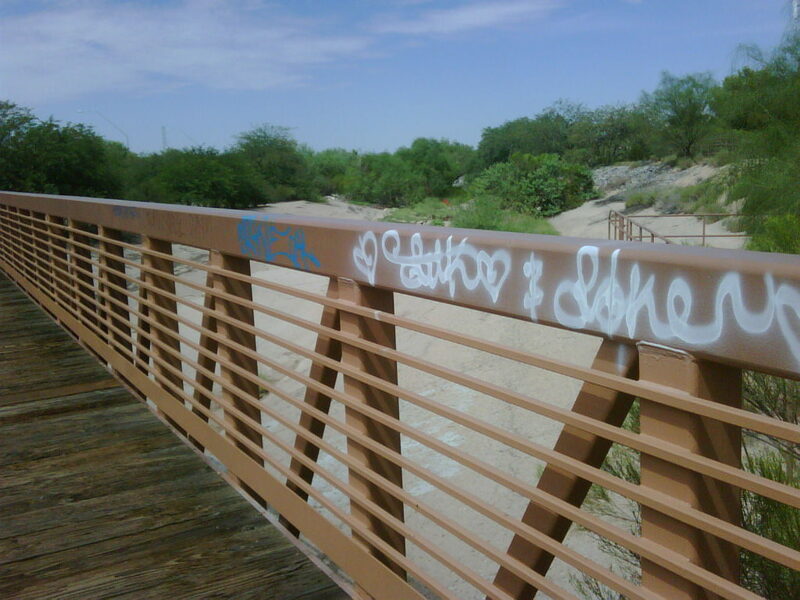 Because SCF allows users to post other types of issues including graffiti, I hoped with SCF I could help the city fight this disease and keep the vandalism from lowering our property values. The article I read did not say the City was using SCF for anything other than potholes, but it is worth a shot. I used SCF to report some graffiti near my neighborhood. Unfortunately, it was not fixed quickly like the pothole. Now that I have a system worked out, what do I put in the reports? I know the crews use different process to abate the graffiti based on what the graffiti is on, so I include details they will appreciate. 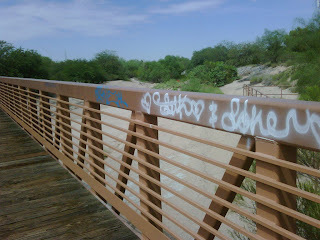 I include the exact location so they can find it, what the graffiti is on, painted or unpainted, block or wood, etc. so they know what to prepare for. I include the color of the graffiti although I do not bother including the characters. This post original appeared at http://seeclickfix.blogspot.com/2010/10/from-potholes-to-graffiti-primer-to.html.